Isabella, Mary, and Lauren feel like everyone they know is getting married. On Sunday after Sunday, at bridal shower after bridal shower, they coo over toasters, collect ribbons and wrapping paper, eat minuscule sandwiches and cakes. 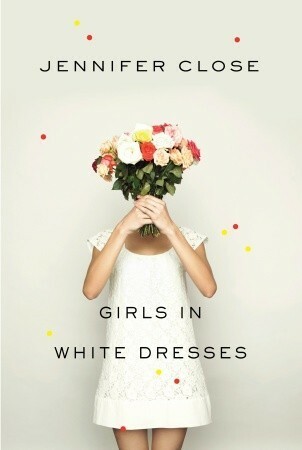 They wear pastel dresses and drink champagne by the case, but amid the celebration these women have their own lives to contend with: Isabella is working a dead-end job, Mary is dating a nice guy with an awful mother, and Lauren is waitressing at a midtown bar and wondering why she's attracted to the sleazy bartender. With a wry sense of humor, Jennifer Close brings us through those thrilling, bewildering years of early adulthood as she pulls us inside the circle of these friends, perfectly capturing the wild frustrations and soaring joys of modern life. This novel is about what happens after graduation. Some people go to grad school, some get married, some get lost and can't find their way. The story is about 3-4 girls and their friends. The book is very real, there are definitely funny stories and stories that will make you cringe. Jennifer Close captures the thoughts of twenty something women so well. She describes the struggles of each character pretty well, but I felt like she could have gone into a little more depth. I was expecting a little more from each girl's story. The book felt like a collection of short stories rather than a novel. The ending was very inconclusive and left me disappointed. What rally irked me about this novel is how much the author wrote about girls crying which is just not realistic. I do not think girls cry over every little thing. The pluses are the cover-which is really pretty, and I do have to admit there were a few entertaining parts and there were many parts that I could relate to. Surprisingly, there really were not that many weddings in the story plot. Ultimately, we do not find out how to deal with all your friends getting married, while you are just continuing your career and living an average life. It was more of reading these girls' diaries. I related to their struggles and were happy to see where life took them. The novel is a light humorous read. There are some interesting stories, they just are not as detailed as I would like them to be. Great book to read at the beach. 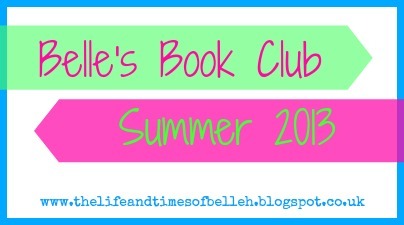 We are linking up with Belle at Life and Times of Belle. The picture below will send you to her blog where you can read Belle's book reviews for the summer. You're welcome! :) Glad you enjoyed it! Thanks to your visit on my blog. As you ask me, I follow you now on GFC and bloglovin. Thanks for linking up with us in the Friendly Bunch Blog Hop. Please enjoy the hop & come back next week. It was fun! thanks for inviting us! You tottally should- It's a light read! Followed here, and on Bloglovin', and thank you for following my blog! Thank you for following and your comment! I followed on GFC and Bloglovin too! I've never read it, but it sounds pretty good! Will check it out! Be sure to check out my new blog(it used to be seabreeze)--and be sure to follow! Might consider this for a holiday read! Followed you :) check out my blog? Thank you for posting this! I've seen that book and loved the cover, but it sounds like a good light read for the end of summer! Love book posts!